There is a list of diseases that are considered most dangerous for children living in Russia, so vaccination against them made to the Russian vaccination calendar. These vaccinations protect the child, creating artificial immunity, which helps protect the baby from the illness and the consequences it can cause. Preventive inoculations stop and prevent a possible epidemic. What qualities parents should instill in their children? Terms and rules of vaccination can not be neglected. You can't vaccinate a child during illness or during rehabilitation after it. For each child there is the vaccination calendar, in which, based on their age, health status, risk of illness, develops immunity to various diseases, prescribe the time and regimen of vaccination. Individual approach require children with chronic illnesses, allergies or a weakened immune system. Before vaccination of the child should consult a doctor-immunologist. Put the first vaccine against hepatitis B. This vaccine do immediately after the birth of a child within the first 12 hours of his life. This vaccine is repeated through the first month and then in 6 months. This vaccination is the most hard portable, so it is possible to defer it to a later age. It should be noted that the child should be vaccinated at the time of admission to school. In the nursing home and usually put another vaccine, BCG. Vaccination against tuberculosis and it is three to seven kids. In Russia, the TB situation is extremely unfavorable, therefore it is not necessary to refuse this vaccine. Following inoculation in the calendar is integrated DTP-vaccination. 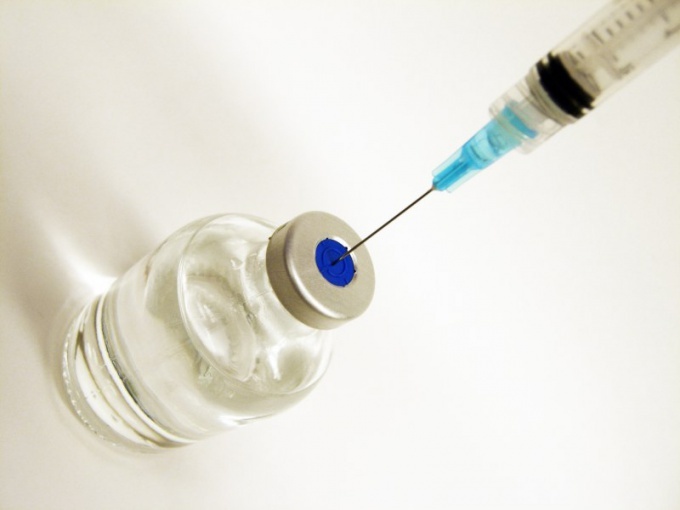 This vaccine against the 4 most dangerous diseases: diphtheria, pertussis, tetanus and polio. Such immunizations are performed in accordance with the schedule, since three months of age and to years of a child's life. You need to consider that in case of refusal of polio vaccination, in contact with the child in children's collective, where it will be revaccination against polio, the child should be isolated for a period of 40 days. This is done in order to avoid vaccine-associated infection with this disease. The following vaccines are included in the Russian calendar of vaccinations is vaccinations against measles, rubella and mumps. They put one year old child. Is also mandatory Mantoux test which is done every year. To neglect it also should not be, especially given the incidence of tuberculosis in our country. This procedure is absolutely harmless and extremely informative. But flu shots are recommended to put only children with chronic diseases who need special protection. For healthy children and adolescents there is no need of this vaccination.